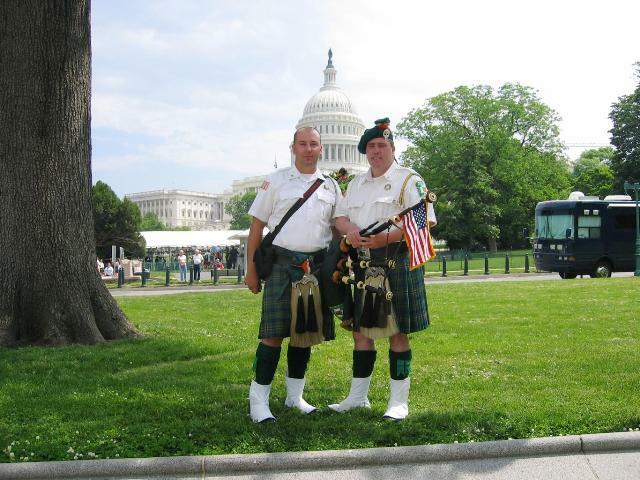 Bob, seen here on the left in front of the Nation's Capital is a Sheriff's Officer in Essex County. Bob's father was an original member of the band. Bob's brother Mike is also a piper.